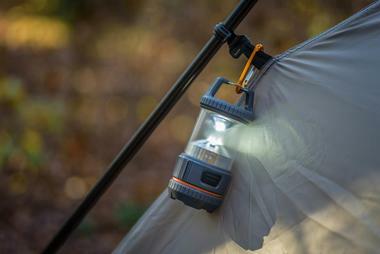 Maryland might be small, but with its beautiful oceanside beaches and thick forests, the state is perfectly suited to camping. Options range from stunning beachfront campgrounds to secluded sites tucked away among the woods, and there's a campground open somewhere in the state no matter what the season. You won't have any trouble finding a place to park your RV or set up your tent, but many of the campgrounds also offer comfortable cottages, cabins, and even whimsical treehouses. 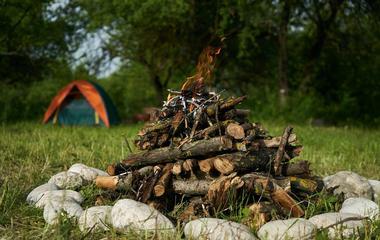 Whether you're planning for a remote backcountry getaway or a family-friendly vacation at a full-service campground, here are the best camping spots in the state. 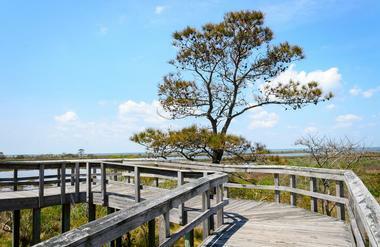 Occupying the northern end of Assateague Island, Assateague State Park is the only oceanfront park in Maryland. Visitors typically come here hoping to see the wild horses that live on the island, but other popular activities include surfing, fishing, and swimming in the ocean. 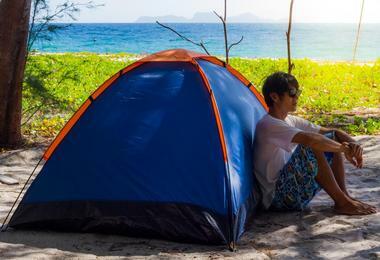 Camping is only permitted in designated areas, but most campsites include a picnic table, a fire ring, and access to a public bathhouse and the beach. Most of the campsites can be reserved between late April and late October; reservations are especially recommended if you're planning to visit on a summer weekend or holiday. 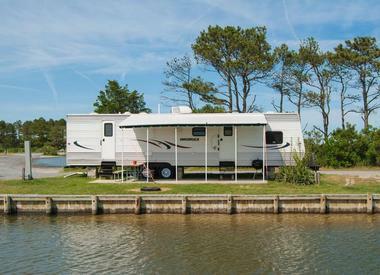 Sitting in Chesapeake Bay, Bay Shore Campground is conveniently located only 3 miles outside the town of Rock Hall. Plenty of shops and restaurants are only a few minutes' drive away, but many visitors choose to spend their time here simply swimming, fishing, and enjoying the beach. Electric hookups and water hookups are available, and campers are also welcome to use the campground's two bathhouses. Other amenities include a games room, a boat ramp, a children's playground, and basketball and volleyball courts. 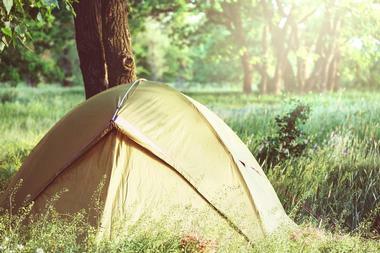 Campsites are available all throughout the year, but rates vary according to the season. Tucked in between the Potomac River and the Chesapeake & Ohio Canal, Brunswick Family Campground is perfectly situated for fishing, boating, and strolling along the scenic pathway by the canal. The campground is open between late spring and early fall; both tent sites and RV sites are available, and there are also four rustic cabins for anyone who would like to enjoy a bit more comfort during their stay. Regardless of which option they choose, all guests will have access to hot showers, restrooms, communal picnic areas, fire pits, and running water. Established in 1984, Camp Merryelande is a family-friendly campground that offers both beachfront campsites and cozy cottages that can accommodate between 2 and 24 people. All of the campsites feature picnic tables and fire rings, and other amenities include showers, restrooms, a games area, and a children's playground. There are plenty of activities to keep visitors busy, including fishing, mini-golf, and beach cook-outs. The cabins must be booked for a minimum of two, three, or four nights depending on the time of week and the season, and check-in is only available on Mondays, Wednesdays. and Fridays. Lying on the northeastern edge of the Blue Ridge Mountains, Catoctin Mountain Park offers beautiful views, excellent fishing, and approximately 25 miles of hiking trails. 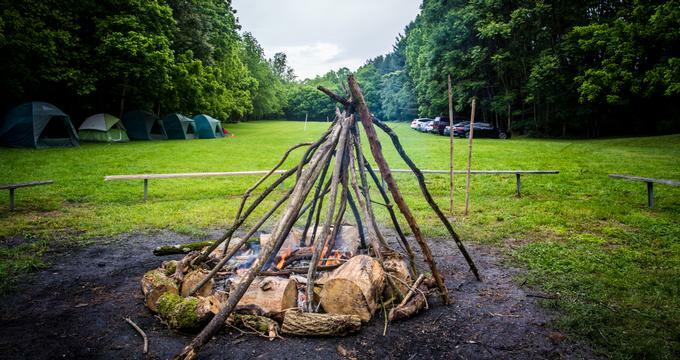 There are three different campgrounds in the park: Owens Creek Campground, Adirondack Shelters, and Poplar Grove Youth Camp Site, which is only open to adult-supervised groups of youths under the age of 18. Adirondack Shelters can only be reached by a 3-mile hike, making it best suited for people interested in exploring the backcountry. 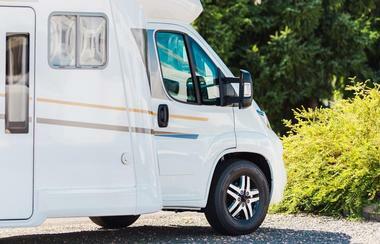 None of the sites can accommodate large RVs, but Owens Creek Campground welcomes RVs under 22 feet. Cherry Hill Park Campground is one of the closest campgrounds to Washington, D.C., so it's a wonderful place to base yourself if you're interested in spending some time in the capital while on vacation. In addition to traditional tent and RV sites, the campground offers cabins, yurts, and even unique glamping pods with air conditioning and electricity. Free Wi-Fi is available throughout most of the property, and other amenities include picnic tables, fire rings, water, and a bathhouse. 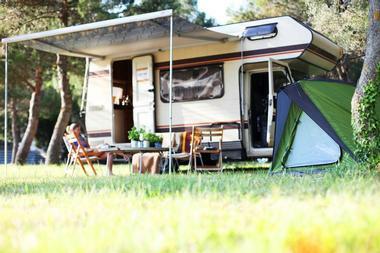 Tent and RV sites are available on a walk-in basis only, but all other accommodation can be booked in advance. Set in the stunning Catoctin Mountains, Cunningham Falls State Park is home to a 43-acre lake, plenty of meandering streams, and the biggest waterfall in the state. 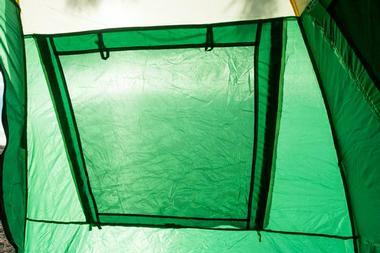 Visitors are permitted to camp in two different areas, one with more than 100 basic sites and another with just over 20 basic sites. Both campgrounds have a handful of sites with electric hookups as well, and reservations are strongly recommended for both types of site. The park is open to campers all throughout the year, but full amenities are only available between the beginning of April and the end of October. 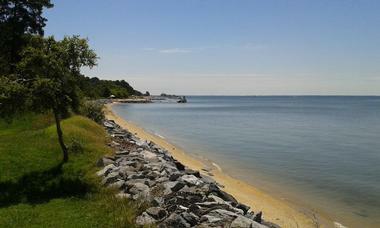 Established in 1936, Elk Neck State Park sits on a peninsula between Chesapeake Bay and the Elk River. 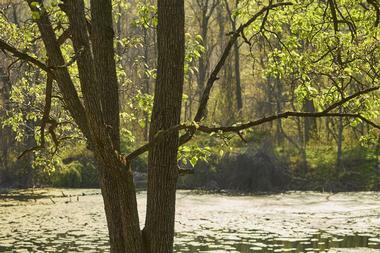 Visitors come here to fish, hunt, canoe or kayak, and hike the 12 miles of trails found in the park. The campground is found on the eastern end of the peninsula, and it offers more than 200 campsites as well as 15 cabins. Some of the sites are equipped with electric, water, and sewer hookups, and all campers are given access to a bathhouse with hot showers. 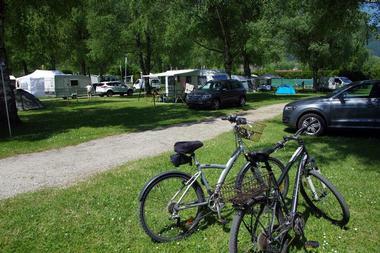 A maximum of six people are permitted at each campsite, and advance reservations are recommended. Only a few miles away from Ocean City, Frontier Town Campground offers more than 600 campsites on the shores of Sinepuxent Bay. 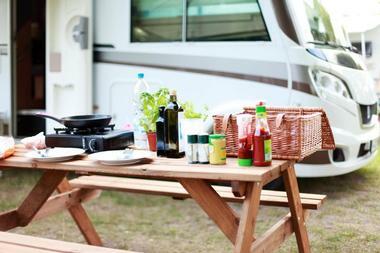 Options range from basic sites with no hookups to deluxe waterfront sites that can accommodate large RVs, but all sites offer at least a picnic table and a fire ring. Several food and beverage outlets are located on the property, including a Western-style saloon and a camp store. The campground also offers plenty of other activities to keep visitors entertained, including a Western theme park, a zipline obstacle course, a water park, and an 18-hole mini-golf course. 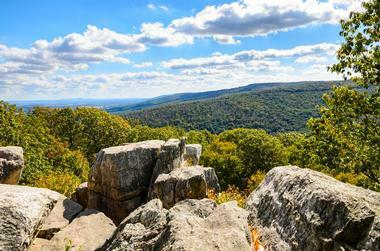 Encompassing more than 47,500 acres, Green Ridge State Forest is the second largest state forest in Maryland. There are approximately 100 primitive campsites in the park; the sites are equipped with picnic tables and fire rings, but there are no other amenities. 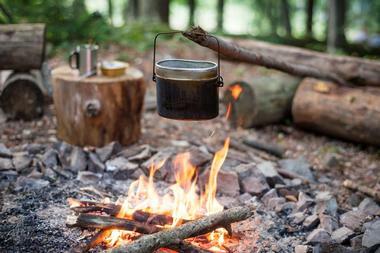 Because of the campground's rural nature, campers are required to leave no trace of their stay and to keep their food and garbage away from bears by storing it in a bear-proof container or by hanging it between two trees. The sites are open to visitors year round, but permits are required for anyone wanting to spend the night. Conveniently located only 12 miles outside of Washington, D.C., Greenbelt National Park is a beautiful forested park with 174 campsites for visitors to enjoy. All campsites include access to hot showers and restroom facilities, and guests are also welcome to use the campground's three communal picnic areas. Anyone who wants to explore the park can take advantage of its 9 miles of trails, which range from a 5.3-mile trail that runs along the perimeter of the park to easy strolls of less than a mile. The park is open all throughout the year, and advance reservations are always required. Island Resort Campground has been in operation since 2005, and it prides itself on providing a fun vacation experience for the whole family. 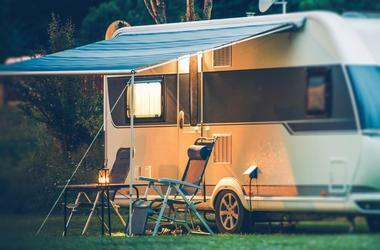 All campsites offer full hookups, and a rental trailer is available for visitors who don't have their own. The campsites overlook a lake stocked with fish for catch and release fishing, and many visitors enjoy renting a canoe or a kayak and spending the day out on the lake. A sandy beach runs along part of the lake, and a heated swimming pool is available for when it's too chilly to swim in the lake. Offering spacious tent sites, RV sites, and rustic cabins, Little Orleans Campground sits on a beautiful 222-acre forested property in Western Maryland. All sites come with fire rings and picnic tables, and the RV sites are equipped with electric, water, and sewer hookups. A creek stocked with trout runs through the property, and the campground regularly hosts activities like campfire sing-a-longs, potluck dinners, and pool tournaments. There are plenty of things to do in the surrounding area as well; the Chesapeake & Ohio Canal is only half a mile away and the neighboring Green Ridge State Forest offers plenty of hiking opportunities. Open all year round, Maple Tree Campground offers the chance to spend the night in one of their unique tree cottages or treehouses. The cottages are insulated and come with mattresses, whereas the tree houses are more rustic; they don't come with mattresses, and they're not insulated for use in the winter. There are also 12 wooded tent sites and several large field sites suitable for groups of up to 60 people, but RVs cannot be accommodated. All sites come with fire rings, grills, and picnic tables, and sites must be booked for at least two nights on weekends. Situated on 483 acres right next to the Savage River State Forest, New Germany State Park is one of the best-kept secrets in Maryland. There are 48 wooded campsites in the park, some of which can accommodate RVs, but the park also offers 12 full-service cabins for rent. Reservations can be made over the phone, and a special program run by the park lends out camping equipment free of charge. Visitors should also be aware that there is no cell service in the park, which makes it an ideal destination for anyone looking to unplug for a few days. Boasting an excellent location on a 32-mile stretch of the Patapsco River, Patapsco Valley State Park encompasses more than 16,000 acres of land and offers over 200 miles of hiking and multi-use trails. There are plenty of exciting recreational opportunities in the park, including horseback riding, canoeing and kayaking, hiking, and picnicking in one of the park's designated picnic areas. 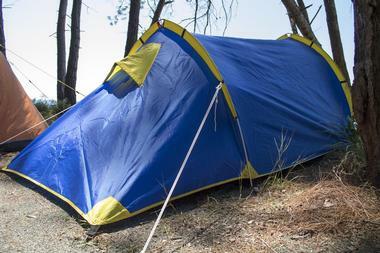 Campsite reservations are recommended, particularly during the busy summer months, and camping gear can be borrowed free of charge from the park. 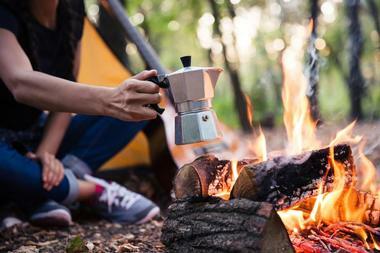 All campsites have fire pits and picnic tables, and campers have access to washrooms and shower facilities. Set on the banks of the Pocomoke River, beautiful Pocomoke River State Park offers camping at both Milburn Landing and Shad Landing. Both campgrounds offer communal picnic areas, playgrounds, and some campsites with electrical hookups; Shad Landing also has hot showers and a bathhouse with flush toilets. 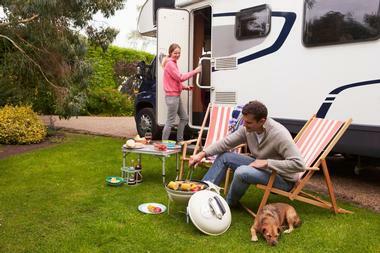 The two camping areas are run independently of one another, but visitors must self-register at their chosen campsite upon arrival. Some of the campsites are open all throughout the year for winter camping, and group campsites are available at Shad Landing for groups of up to 40 people. The land that Point Lookout State Park sits on served as a prison camp during the Civil War, but it's now one of the most popular state parks in Maryland. The park offers plenty of recreational activities, including canoe rentals, hiking trails, a boat launch facility, a Civil War museum, and ranger-led programs in the summer. There are more than 140 campsites in the park, some of which have electrical or even full hookups. There are also several rustic cabins available for rent; cooking is not permitted inside the cabins, but outdoor fire rings are provided. Nestled in the forest outside Woodbine, Ramblin Pines Campground provides convenient access to many of the best attractions in the area around Baltimore and Washington. However, the campground offers a wide range of amenities, and it's also possible to have a great vacation without leaving the property once. On-site amenities include a swimming pool, a general store, an exercise room, and a games room, and special activities like hayrides and games nights are held every weekend from May through October. 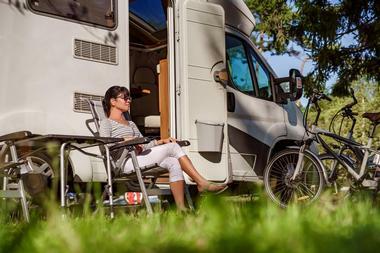 Both cabins and RV sites with full hookups are available, and cable TV is included in the campsite fee. Family owned and operated since 1974, Roaring Point Waterfront Campground offers a classic camping experience in a beautiful natural setting. Both tents and RVs are welcome, and campers have the choice between primitive sites with no hookups and sites fully equipped with water, electric, and sewer hookups. On-site amenities include a bathhouse, a general store, a playground, volleyball and basketball courts, and a picnic pavilion, and all sites come with fire rings and picnic tables. The campground is also proud to offer family-friendly entertainment almost every weekend; typical activities include live music, hayrides, and bingo nights. Surrounded by breathtaking mountains, Rocky Gap State Park features more than 3,000 acres of land and a 243-acre lake perfect for boating and fishing year round. A 5.3-mile hiking trail runs around the lake, and there is a private swimming beach reserved for guests of the campground. The campground in the park offers 278 campsites, some of which have electrical hookups and all of which have access to a bathhouse with hot water. There are 15 cabins and a yurt in the campground, and visitors can also rent a fully furnished chalet tucked away in a private corner of the park. Perfect for families, Sandy Hill Family Camp boasts an excellent location right on the Nanticoke River. In addition to an excellent selection of campsites with picnic tables and fire rings, the property offers a children's playground, two boat launches, a swimming beach, and a large hall with a dedicated games room. The restrooms are equipped with hot water and flush toilets, and campground amenities include a laundromat, a dump station, and a general store. The campground is open between the middle of March and the middle of December, and off-season storage is available for anyone who wants to store their RV on-site. 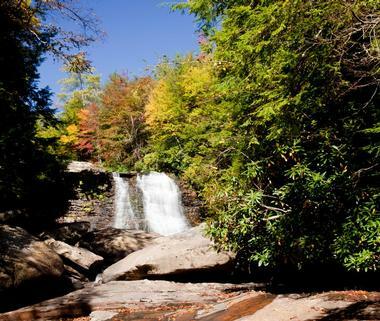 Filled with centuries-old hemlock trees and the highest waterfall in Maryland, Swallow Falls State Park boasts some of the state's most stunning scenery. The campground offers more than 60 sites equipped with fire pits and picnic tables, and all sites include access to a bathhouse with hot water. There are also three sites with full hookups; advance reservations are recommended if you'd like to secure one of these spots. 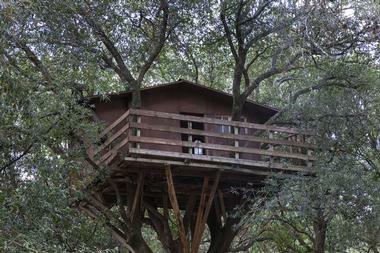 If you'd like to spend the night in a bit more comfort, there are also three cabins with electric heat and beds. 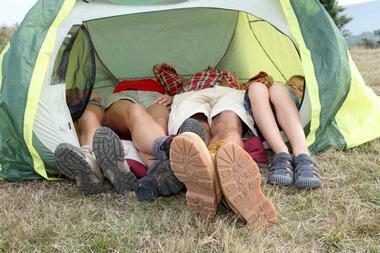 A two-night minimum stay is required for all sites on weekends. With almost 250 campsites to choose from, Take It Easy Campground is a family-friendly destination with plenty of convenient amenities, including a swimming pool, a fishing pond, a chapel, and plenty of inviting picnic areas with grills. 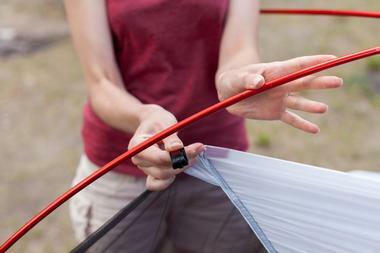 Campers can choose between sunny and shaded sites, and most of the sites are equipped with full hookups. Guests are welcome to use the indoor washrooms and hot showers, and free Wi-Fi is available throughout the property. Sites can be rented by the day, by the week, or by the month, and water, sewer, and electrical hookups are included in the nightly and weekly prices. Surrounding peaceful Tuckahoe Creek, Tuckahoe State Park offers plenty of recreational opportunities, including 20 miles of trails and a 60-acre lake perfectly suited to boating and fishing. 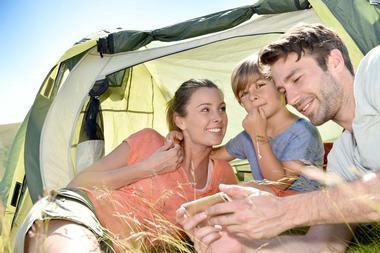 The family-friendly camping area has more than 50 sites to choose from, approximately 30 of which have electrical hookups. Showers and toilets are available in the central bathhouse, and potable water can be obtained from the taps found throughout the campground. Regular activities and children's programs are held in the park during the summer, and campers are welcome to enjoy the park's two communal picnic areas and playground.